Draught Works returns with its annual Chain Reaction Fresh Hop Festival, a bike and brew event in which 100 pounds of fresh hops gets transported via bike race up the Bitterroot Valley to join with freshly milled grains to brew the Chain Reaction Fresh Hop Ale. The event kicks off on Sunday September 7, 2014 at the Fais Do-Do Farm in Corvallis. 12 teams of riders will haul hops on their bikes in relay fashion to Draught Works (50 miles!). The grains for the Fresh Hop Ale are also milled via bicycle, using a Bitterroot-designed and built GrainMaker grain mill powered by a bicycle. As volunteers pedal, grains get milled. Rogue Cow Alert - BRING HOPS! Draught Works informed us that due to some rogue cattle that got into the hops fields at the farm, nearly half the harvest was lost. 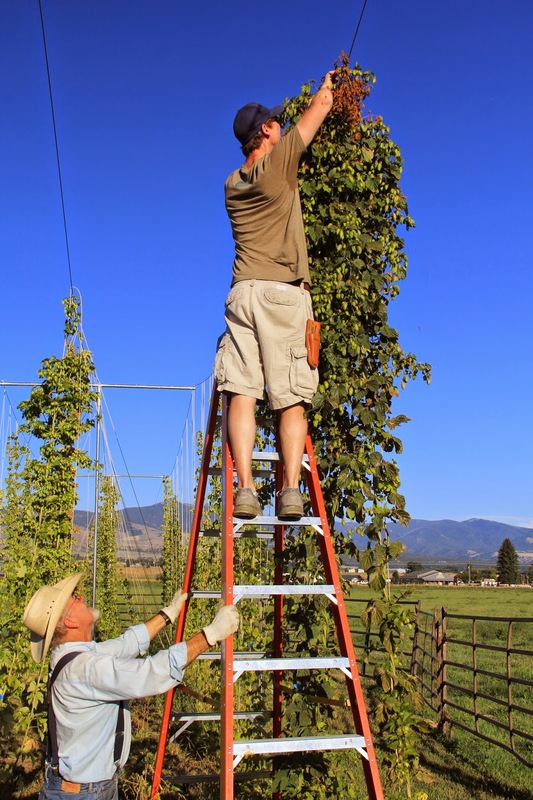 If you have hops you'd be willing to donate to the Fresh Hop Ale, please call Draught Works (541-1592) (or message them on Facebook) with what you have and could supply. Check out post on last year's Chain Reaction! 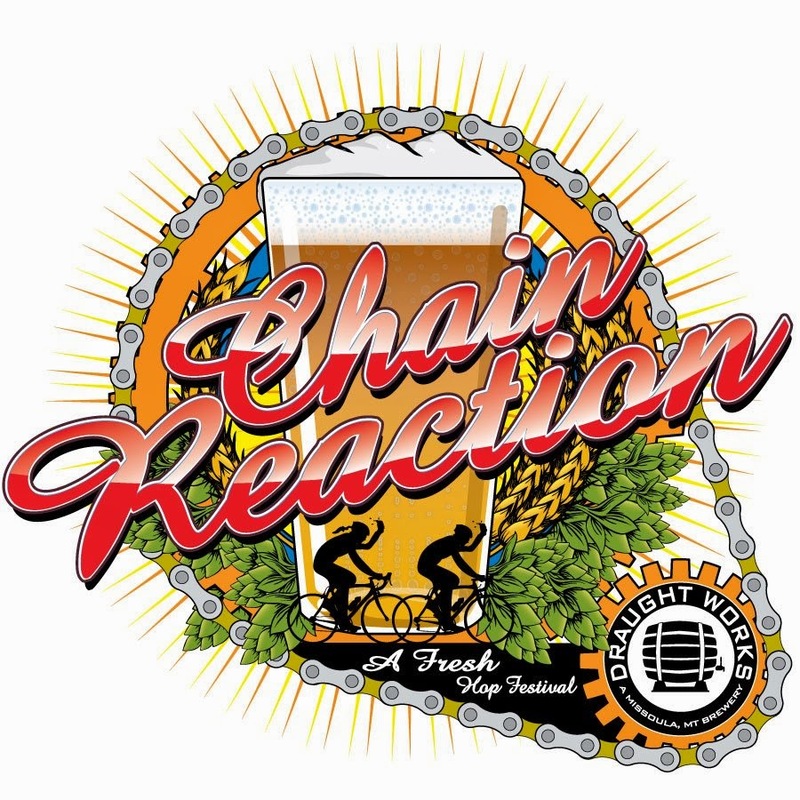 Useful article about 3rd Annual Chain Reaction at Draught Works. This post is important and informative. Thanks for your lovely sharing.